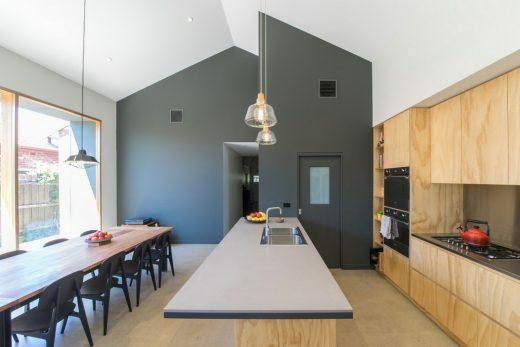 Wordsmith House has changed this family home for good. With one parent working from home, and 2 active young boys, it was clear that this family wanted to significantly improve the way they spent their days. 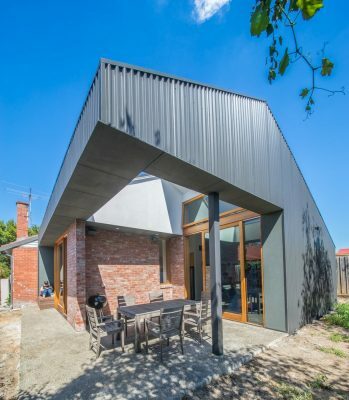 Their starting point was a small pre_loved 1930’s double brick bungalow, and a very tight budget. 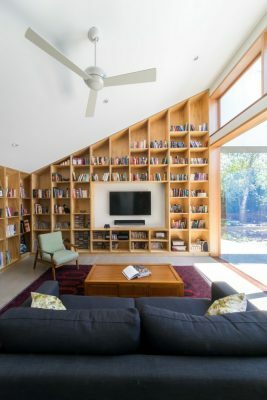 As a verbally active family, it was important to incorporate in the design the active use of words; and the storage and presentation of their books. The client also required spaces that were flexible, and materials that were robust. And they wanted to do this without having to resort to “open plan” living. 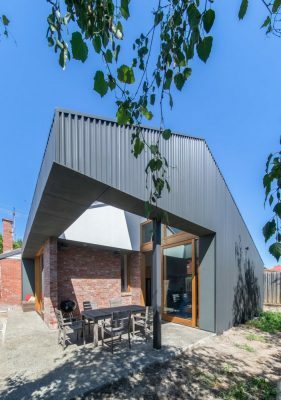 Windust Architects x Interiors extended the line of the existing gabled roof to avoid “cost heavy” box gutters and roof details. This also allowed for raked ceilings; providing drama, cross ventilation and eventually, the desired separation of living and dining areas. A “blackboard” wall is made at the intersection of old and new, providing the space for active words. 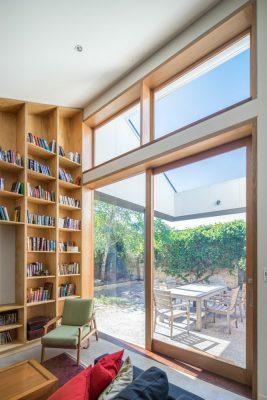 Opposite in the living areas, are the “library” walls providing space for stored words; books. The central circulation transitions smoothly between private bedroom and family areas, arriving at the kitchen, the family heart. 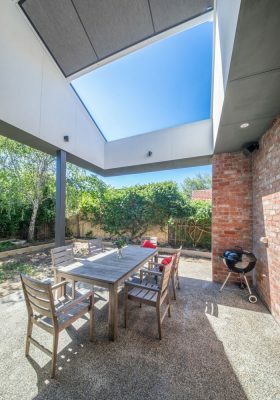 To the north is the outdoor entertainment area, flanked by brick walls to allow space for the 5 barbeques. 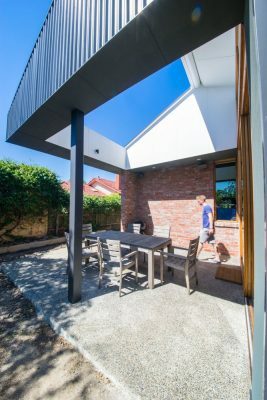 To reduce risk and achieve the desired outcome, we actively managed the budget and costs via material selection, straight forward design details, and using a negotiated tender with a trusted builder throughout design development and contract documentation. To the existing east/west orientated site, a northern aspect is introduced into the new sections of building. With the raked ceilings and highlight windows, the new spaces achieve abundant natural light and cross ventilation. The external entertaining area, with its open sky awning, allows for sun protection and all year usage.